Little Oakley Parish Council have awarded A&J Lighting the task of replacing all of the existing street lighting stock under the control of the council. The new street lights will be installed on a rolling programme and will replace streetlights , some of which are over 70 years old. A&J Lighting have been working in association with Greenfields Community Housing on a recent project in Halstead, Essex. The redevelopment of a gated community consisting of flats and apartments we have replaced old unenvironmently friendly globe lanterns with new LED alternatives, reducing the energy consumption by 60% and lighting pollution by almost 90%. 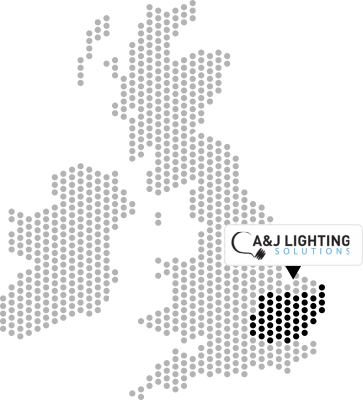 A&J Lighting win footpath lighting improvement project for Braintree District Council. The footpath that connects Panfield Lane with the towns largest Industrial Estate has been rejuvenated by installing by the Installation of 11 ( Eleven ) Performance LED Street lights to replace old, damaged, inefficient sodium luminaires.